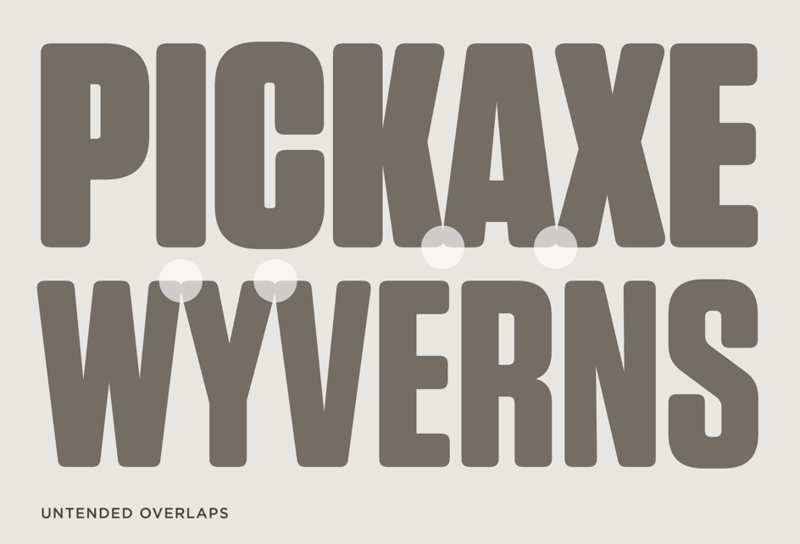 Tungsten Rounded Font Features: Collision Detection | Hoefler & Co.
Tungsten Rounded helps difficult neighbors get along. Tungsten Rounded’s heaviest weights positively beg to be used at large sizes, so we’ve provided the fonts with tight spacing and careful kerning to maximize their density in display settings. Where two diagonal strokes normally overlap and produce an unsightly divot, Tungsten Rounded includes an optional OpenType feature that can automatically substitute an alternate form based on its context, to ensure an even line. Both the Bold and Black weights contain 151 alternates, to resolve a total of 548 problem pairs.